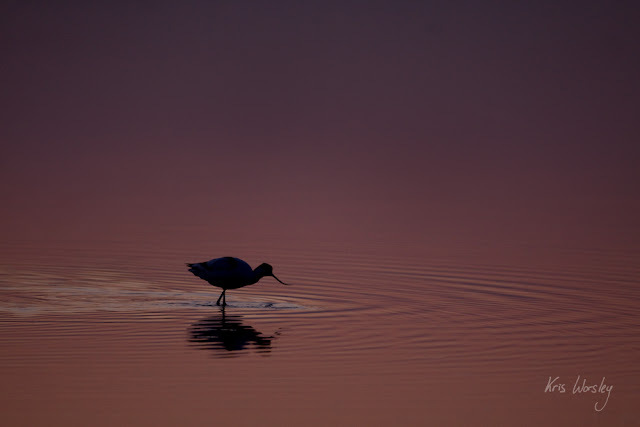 Human Nature - Kris Worsley Wildlife Photography: Blue Moon tonight! 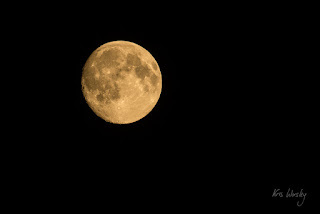 The near-full moon, photographed July 29th 2015, just before the blue moon. So sang Joni Mitchell in the opening lines of Night Ride Home. And so tonight on 31st July we have our own blue moon - a real one! But if you’re expecting to wait up and watch the moon turn blue, you might be left standing alone, without a dream in your heart – because the moon doesn't turn blue on this sort of blue moon. And if that saddens you, then you have two 16th century Greenwich friars to blame, who first coined the term (more on that in a moment). The fact is, you’re not going to notice very much, other than a fabulous full moon in the sky (the Brits among us will have to take that with a pinch of salted cheese), but the point is that we’ve already had a full moon this July, and now we have a second one (two in one month! ), which is blue-min rare. Think about the word ‘month’ – which comes from the word ‘moon’ in English, as it does in nearly all languages, as it does in the Bible and the Koran. The Jewish, Islamic, Hindu and Chinese calendars (among others) still use the lunar-months of just over 29-and-a-half days, in combination with the transit of the sun, to calculate the month. A new moon equals a new month. 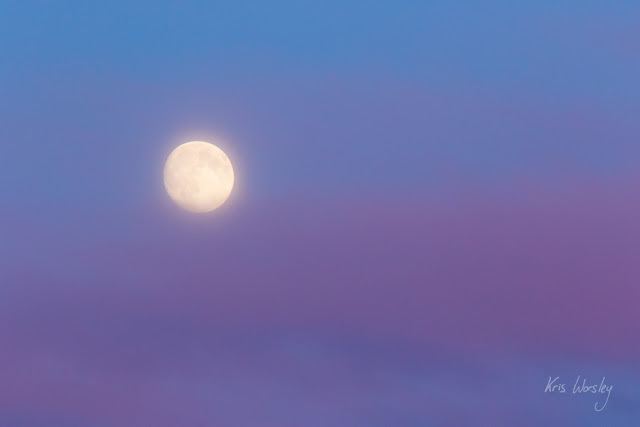 So, if you think about it, having two full-moons within a single month is quite a betrayal. In signe of trouthe that is in wommen sene. As a sign of truth that is seen in women. from Geoffrey Chaucer (c. 1343-1400), The Squire’s Tale. Except that the two words were confused, and so the ‘betrayal [belewe] moon’ became the ‘blue' [blewe] moon. Unlike many other festivals in the calendar, Easter is a movable feast - i.e. it's not fixed by date. This was decided in 325AD when the council of Nicaea decided that Easter Sunday would take place on the first Sunday after the first full moon occurring on or after the vernal equinox (March 21st). BUT – and it’s a big BUT – the Greek and Roman churches still could not agree upon a standard version by which this calculation could be made, and that rogue, betraying, belewe moon wasn’t making life any easier. I said it was poetic, and not only does it rhyme, but it works on a clever pun: the ‘belewe’, or betraying moon, only happens once in a while (which we know from Joni Mitchell), whilst the appearance of a ‘blue moon’ would be ridiculous, and therefore, really rare. In effect, Roy and Barlowe were saying, 'if the churchmen say the moon is blue, or if they say it is made of cheese, or that there’s actually a man in it, we must believe [beleve] them'. And so the phrase landed in English. So you’re not going to see anything different tonight than on any other full moon (sorry). But understanding the blue moon does help us to reconnect with a time when mankind was more in touch with nature and followed its cycles. The lunar months marked the changes of the season: each of the four seasons was three-cycles of the moon long, and when the fourth cycle started, people knew a new season had started and would know whether they should start ploughing and planting, or watering and growing, or reaping the harvest, or just enjoying a nice long drink (whilst keeping an eye on the moon). But sometimes, just once in a...um...while, the moon might play a trick and start a fourth cycle before the end of the season, so it’s important to be aware of the betrayal so you knew what to do with your crops. following the eruption of Eyjafjallajökull. So, I’ve disappointed you – the moon isn’t actually going to be blue, or made of cheese, or have a man in it. But once in a while, it can appear just a little bit blue – but that’s even rarer. For that you need a volcano spurting a cloud of ash into the sky. For example, it was said that after the eruption of Krakatoa in 1883, the moon appeared blue for almost two years. Such an eruption hasn’t tainted our view of the moon to that extent for a while, although I do recall those great colourful skies that we had the week after the eruption of Eyjafjallajökull in 2010 – I was photographing in Norfolk at the time, where a particularly dense cloud of ash was visible in the sky. This was especially noticeable in the evenings, as it brought out the exquisite twilight colours like I’d never seen before. 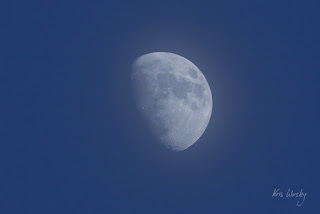 Was the moon bluer at this time? I’m not sure, but I'll never forget those colours that were to paraphrase Joni Mitchell once again) ‘like some surrealist invented this night’. Avocet in twilight reflections, Norfolk, April 2010. Eyjafjallajökull and have not been altered in processing.